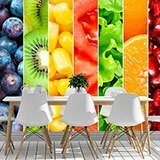 Wall mural Fruits in vertical bands. 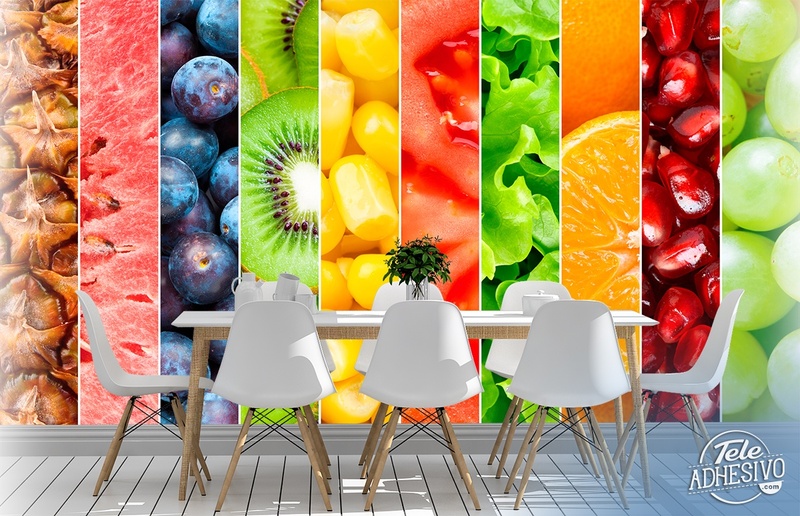 Fabulous design of current style with narrow vertical photographs where we see several textures and cut fruits. 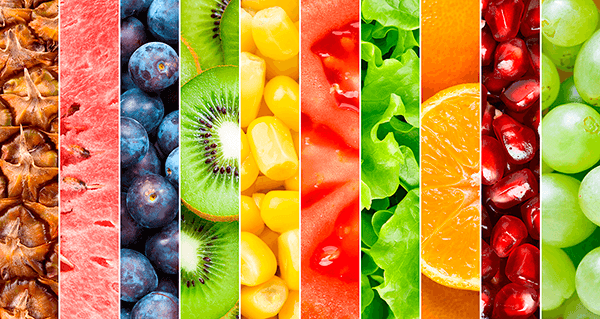 From the rind of the pineapple, grains of grape or mengrana, to cut pieces of kiwi, tomato and orange. 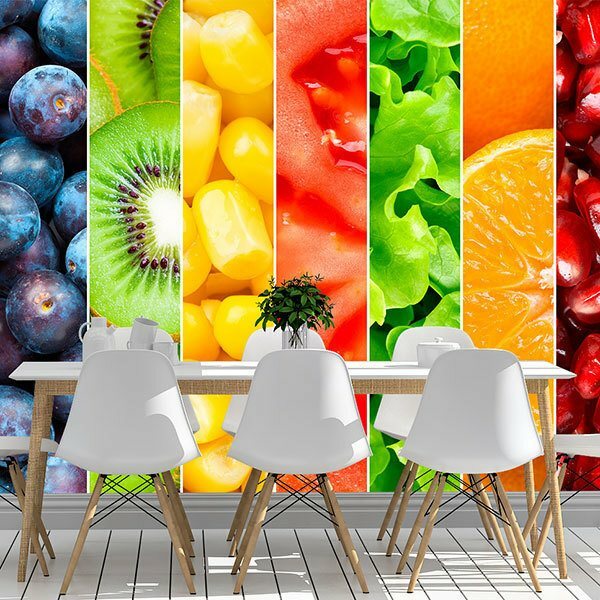 Ideal for a kitchen, business or shop.